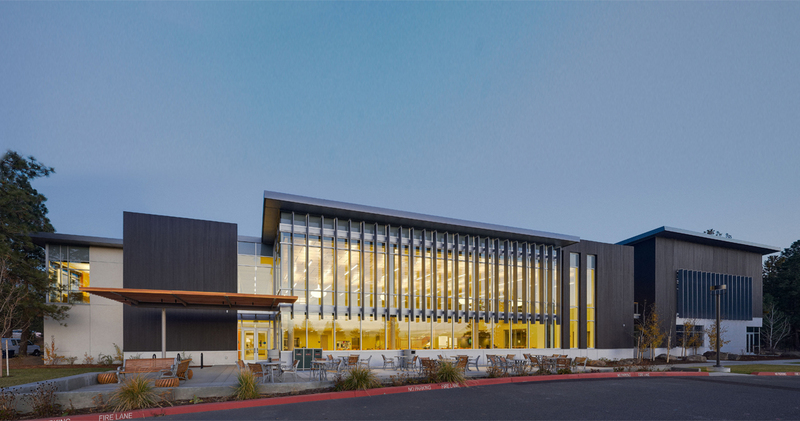 Situated on the northwest end of the campus, the new 30,000 sf Campus Center Building elegantly sits within its high desert surroundings. 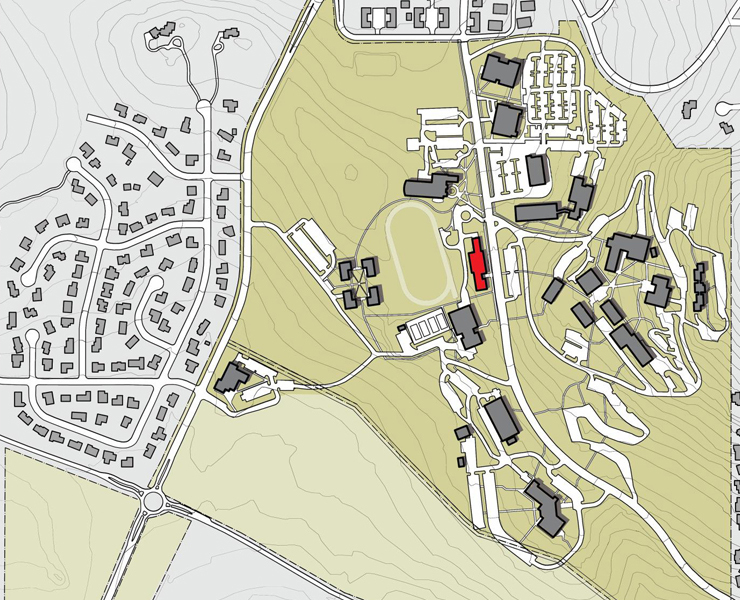 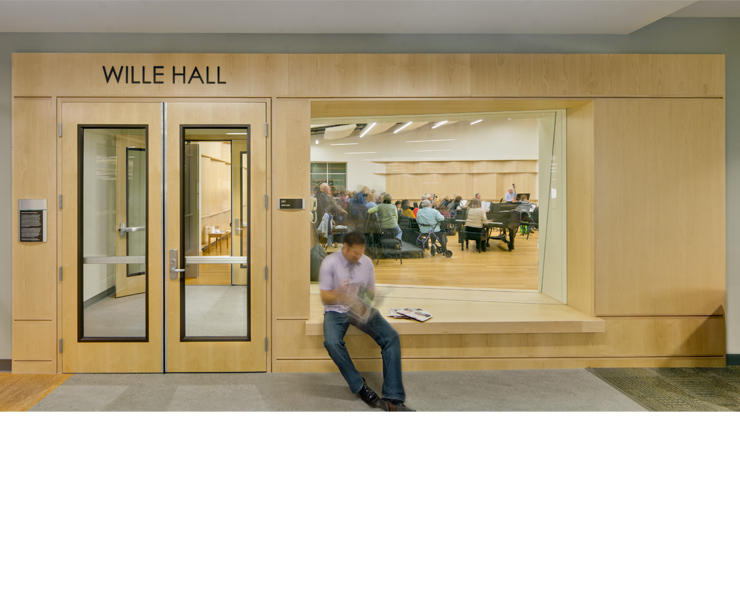 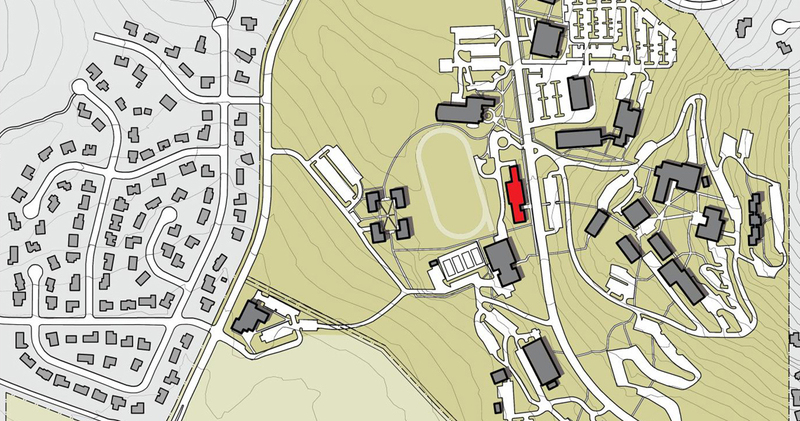 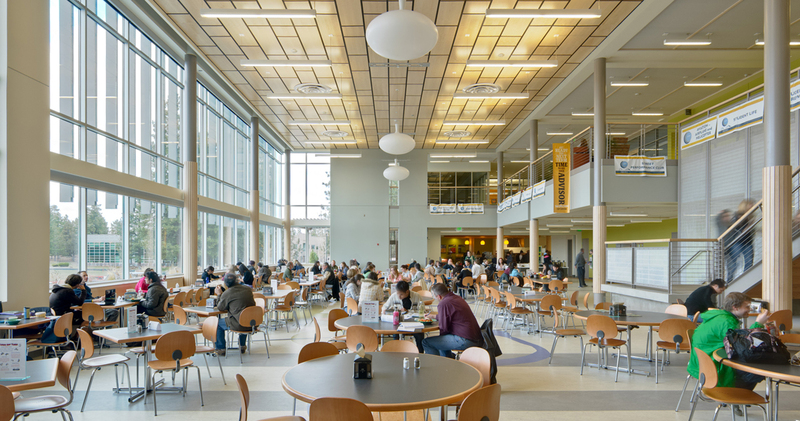 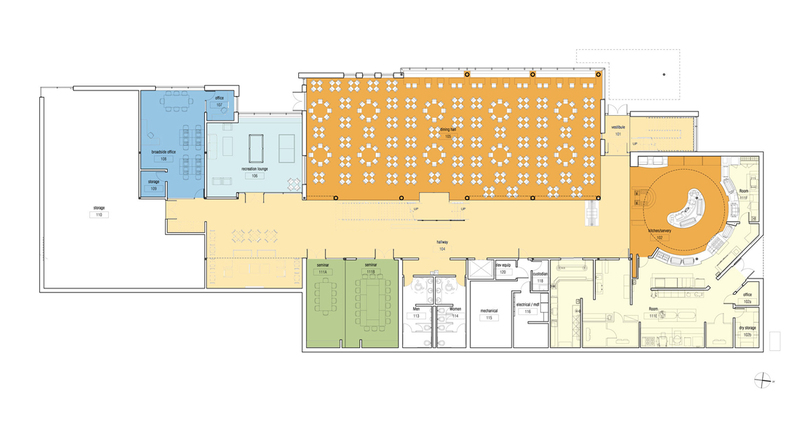 The building adds much needed student gathering space and complementary student service programs along College Way, the campus’ main street. 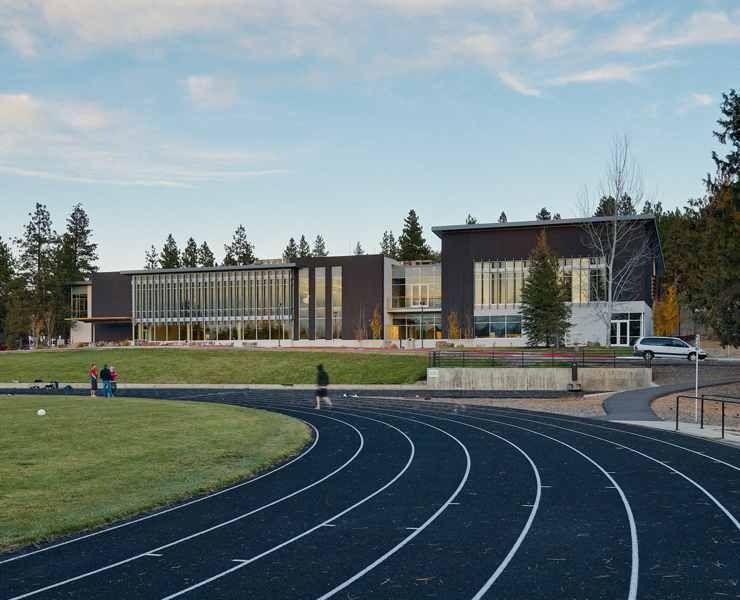 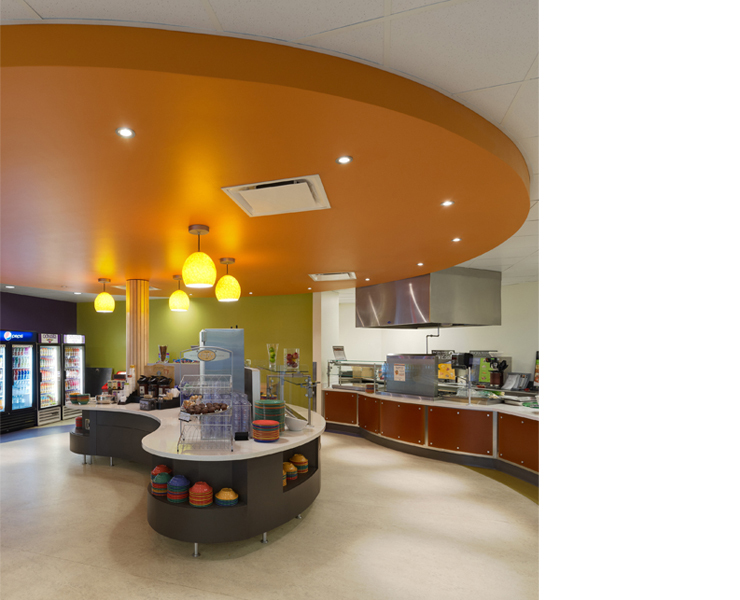 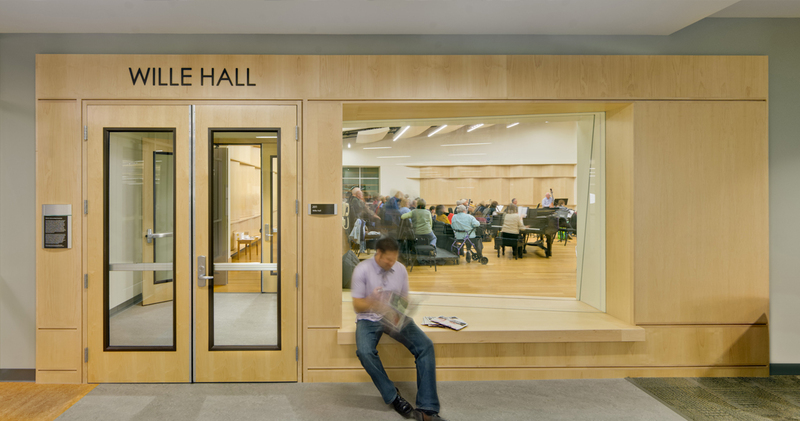 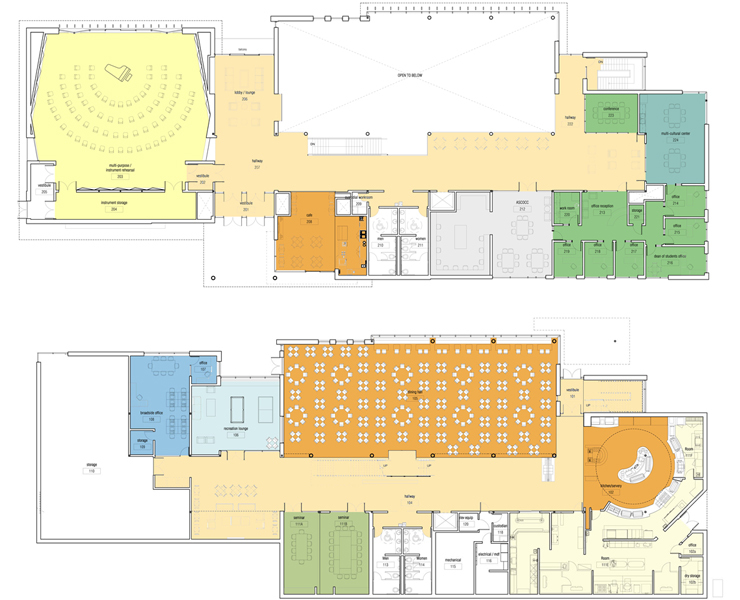 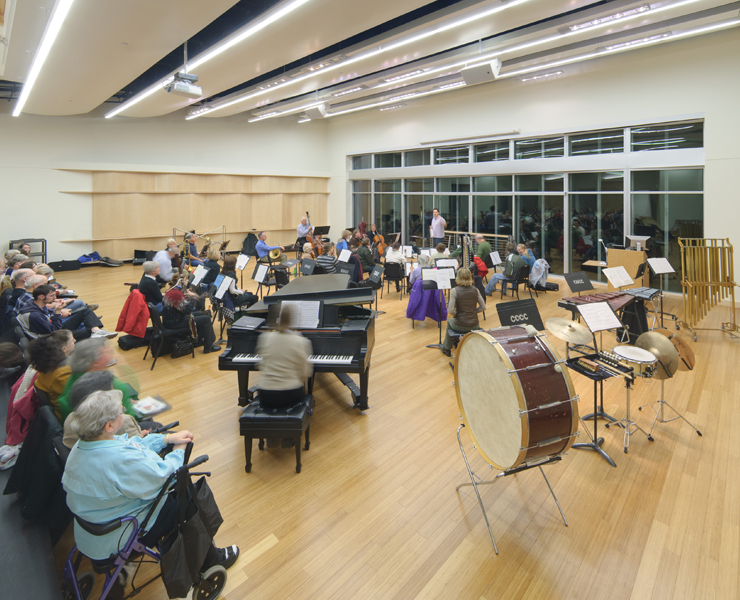 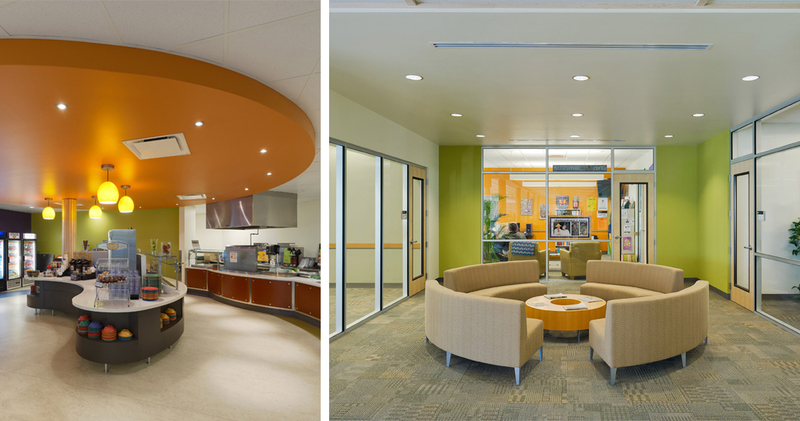 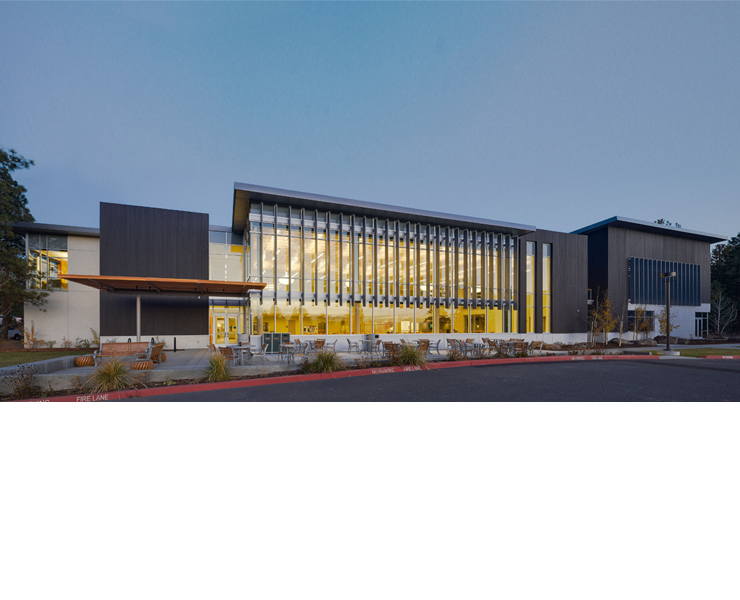 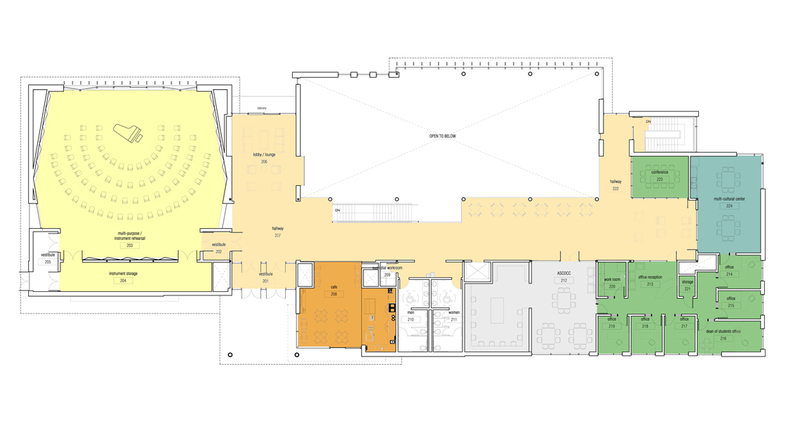 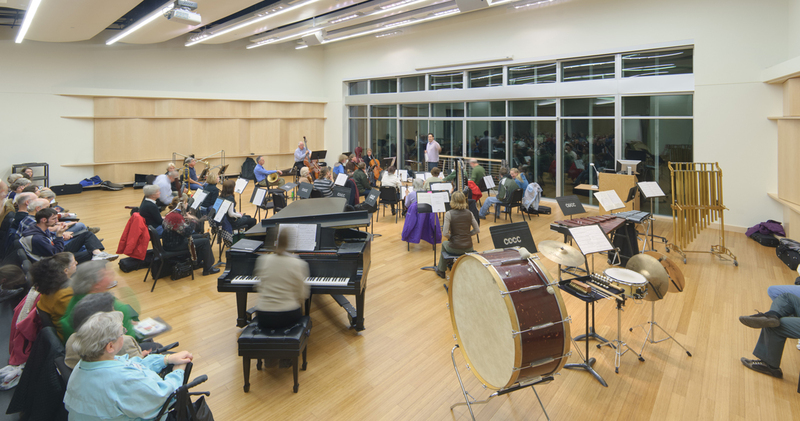 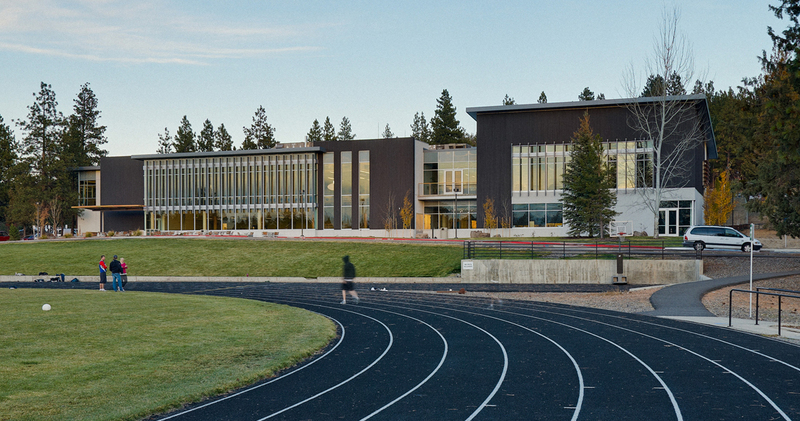 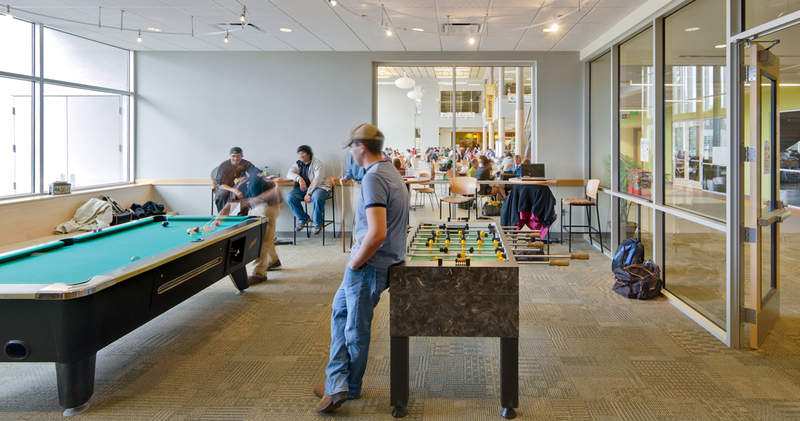 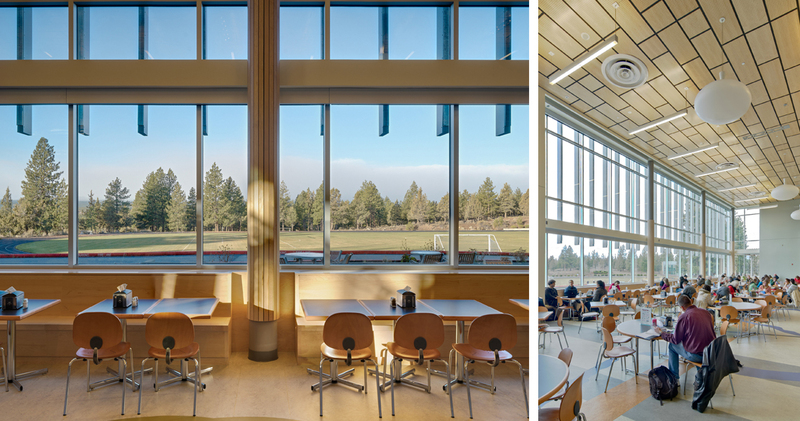 The building was designed with the feel of a contemporary high desert lodge, both to respond to students’ requests for an active, vibrant space on campus, and to reflect the local environment. 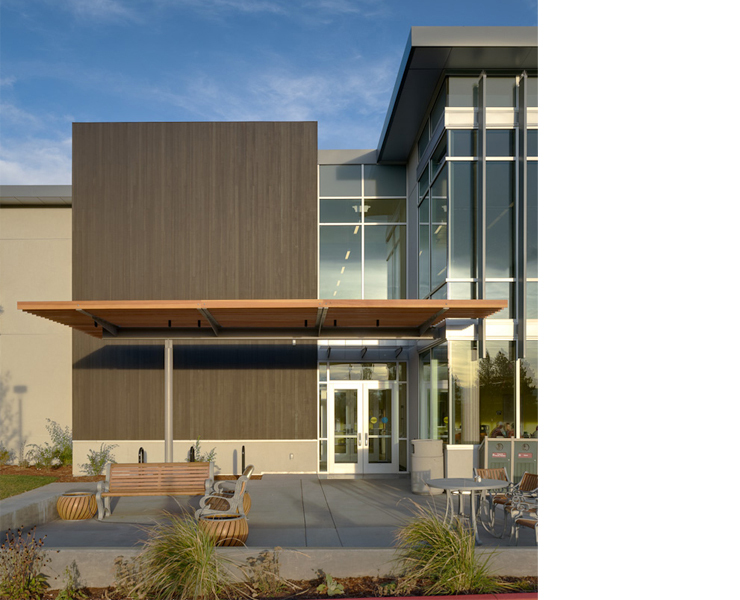 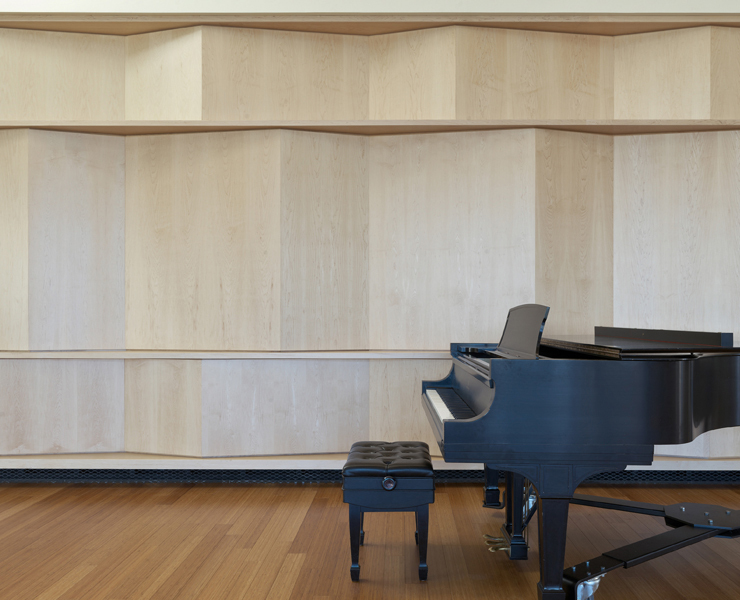 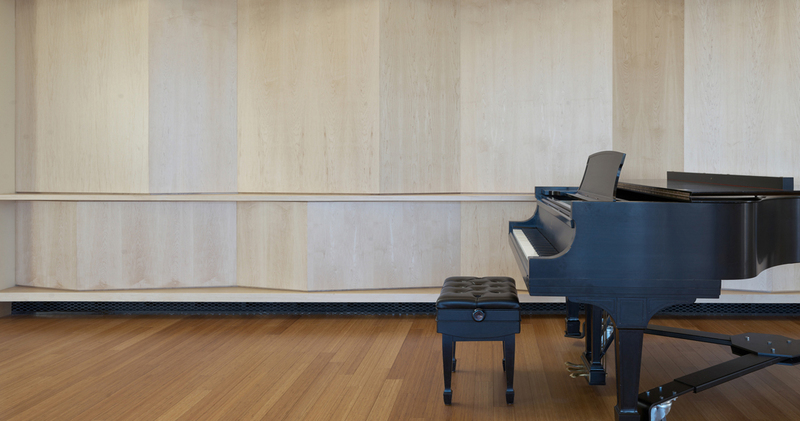 A minimal exterior material palette drew subtle cues from existing campus architecture, and was infused with the warmth of natural wood. 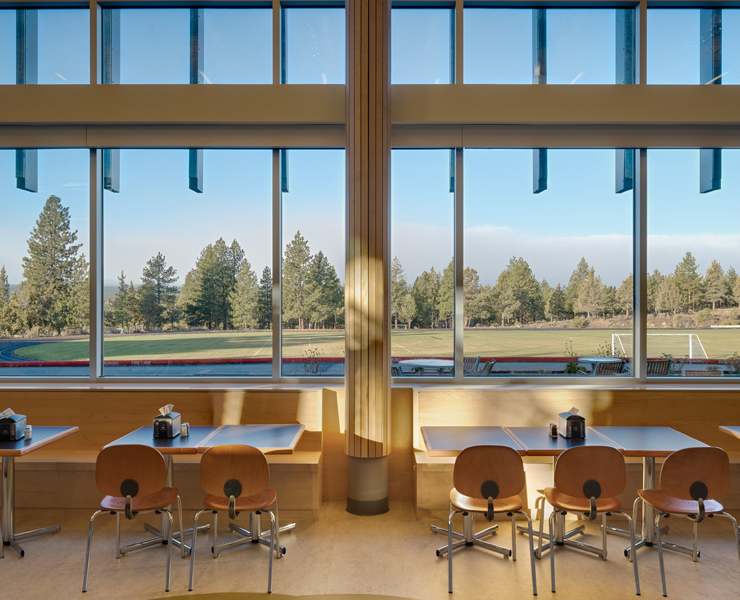 An expanse of windows in the dining hall frames the mountain views, while the flooring of the dining hall mirrors the topography of the region. 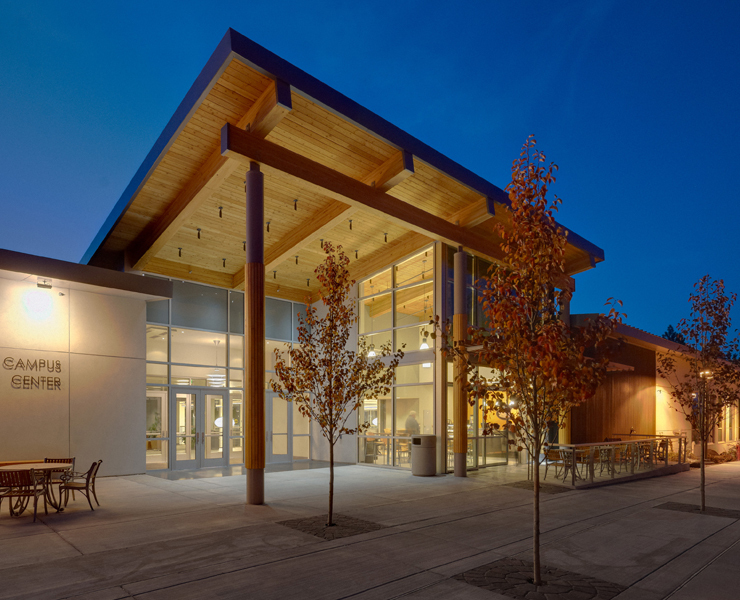 Landscaping utilized native, low-water plants as well as a high-efficiency drip irrigation system and stormwater swales. 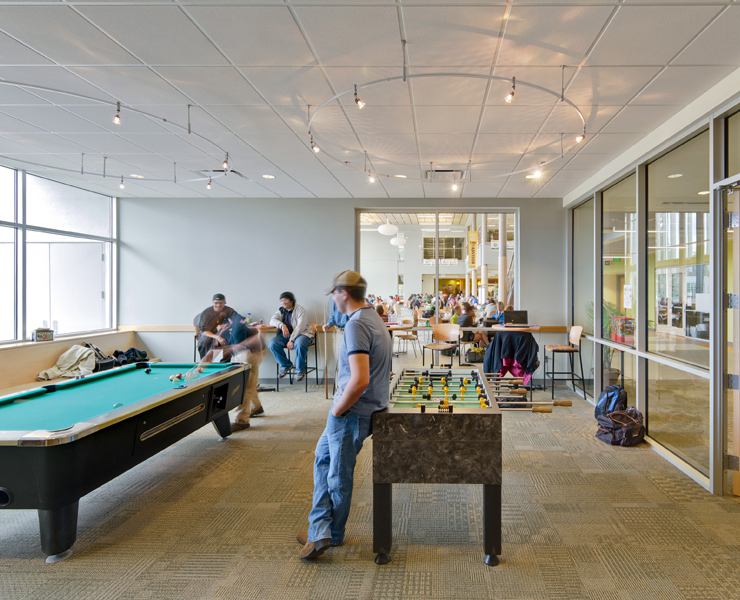 Recycled ceramic wall tile, carpet tile and linoleum, as well as rapidly renewable flooring, were used in the building’s interior. 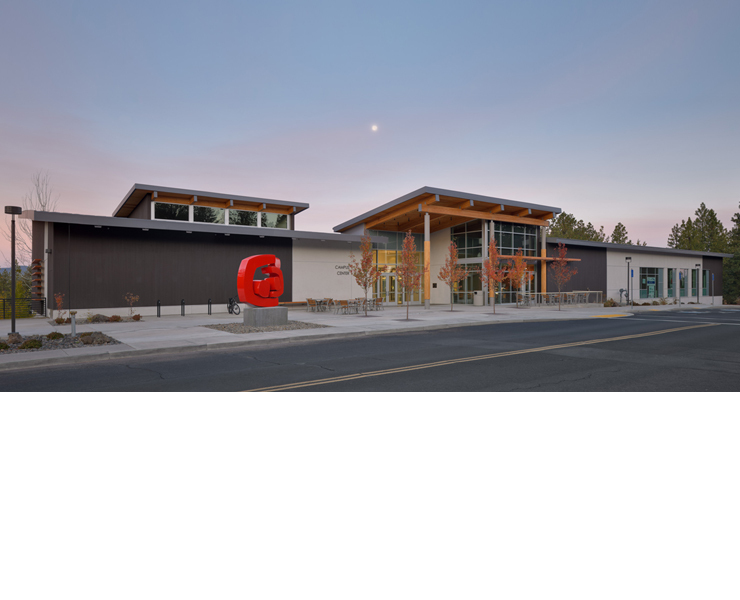 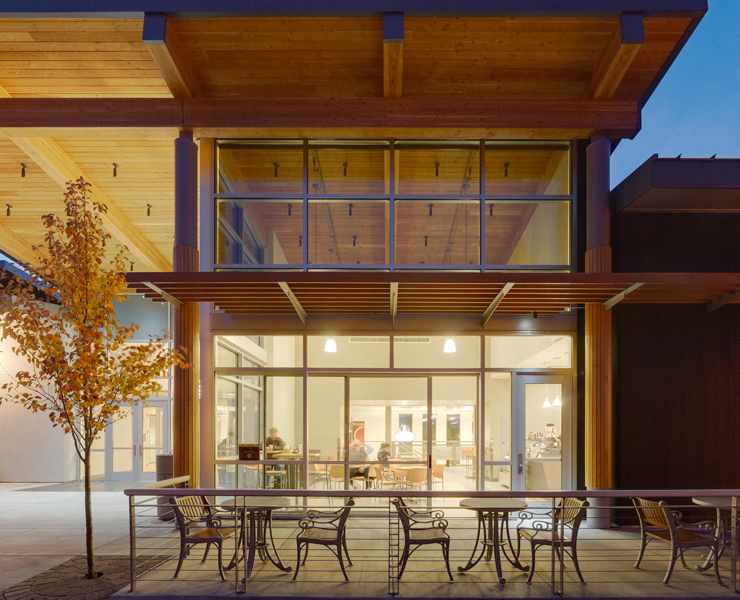 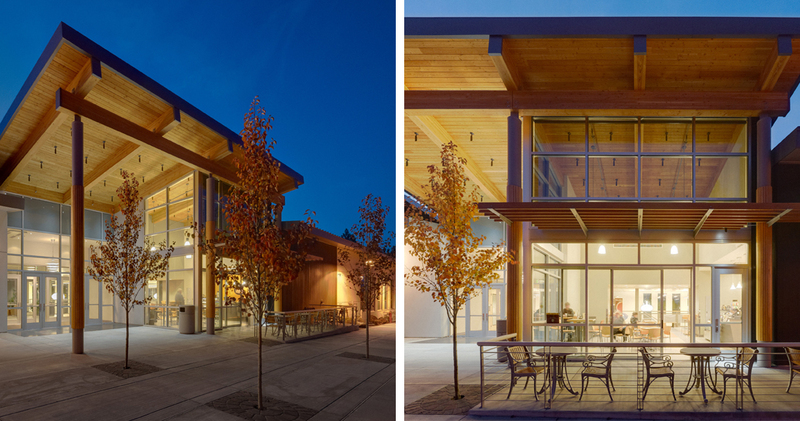 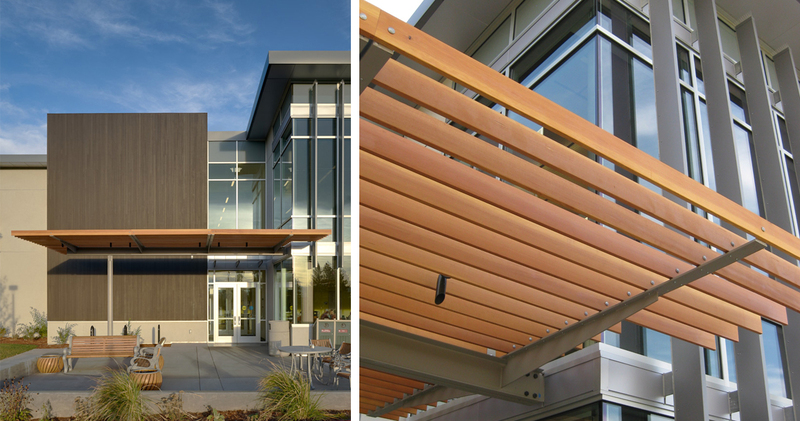 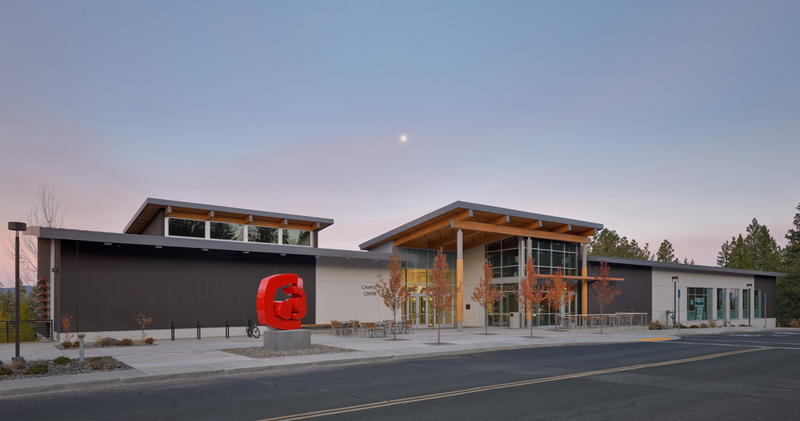 Wood siding used on the building’s exterior is certified with the Forest Stewardship Council. 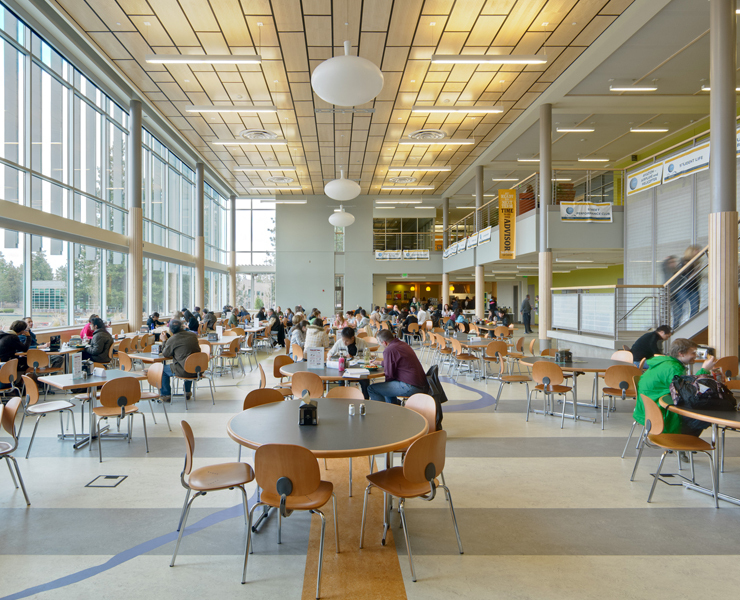 Extensive daylight and views enhance the indoor environment, and low VOC adhesives, paints and carpets preserve a high degree of indoor air quality.